Knowing myself, it simply means I am very happy. I don't, honestly, know why but updating this journal every time I feel really bad or sad is no sweat. But when I'm happy, I could hardly finish a decent post for this diary. Muck-up and dress-up day for our final day at uni, I tried to dress-up as an Australian farmer. Yesterday was the last day of classes at the university for school year 2014. 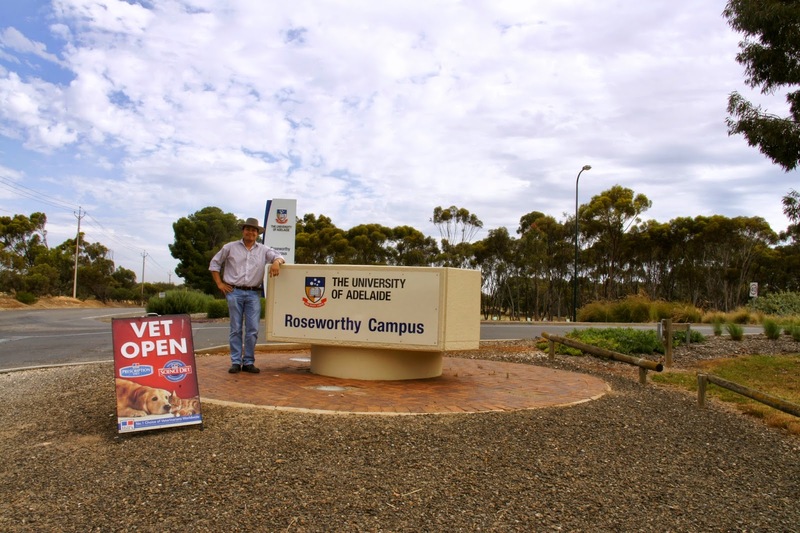 And for me and my DVM III classmates, it's not just another Friday that would mark the end of the week, nor another end of the semester or school year because yesterday was officially the conclusion of our veterinary education at the University of Adelaide! Don't get me wrong, I enjoyed my stay at the vet school. I honestly have regrets of not updating this diary to document my stories as often as what I had originally planned. As I slither though this 3-year DVM program I got too carried away as often as I literally dropped my jaw every time I got the chance to use every equipment in this world-class training facility. Every time I found myself standing in the surgical skills theatre, diagnostic imaging suites, intensive care unit, necropsy and microscopy rooms or by simply monitoring and recovering our anaesthetised patient at the equine hospital, I would spare a moment to thank the Most Powerful up there for this learning opportunity that had never ever existed even in my wildest dreams before. Yes, it's over but let me defer the acknowledgement of those people and organisations who supported me through the years. I will do that after I get through the Transition to the Veterinary Profession final examinations. Nine days from now, in four consecutive days I will be sitting for two written, two oral and one objective structured clinical examinations that will absolutely be another terrifying but definitely a life-changing moment in my life. 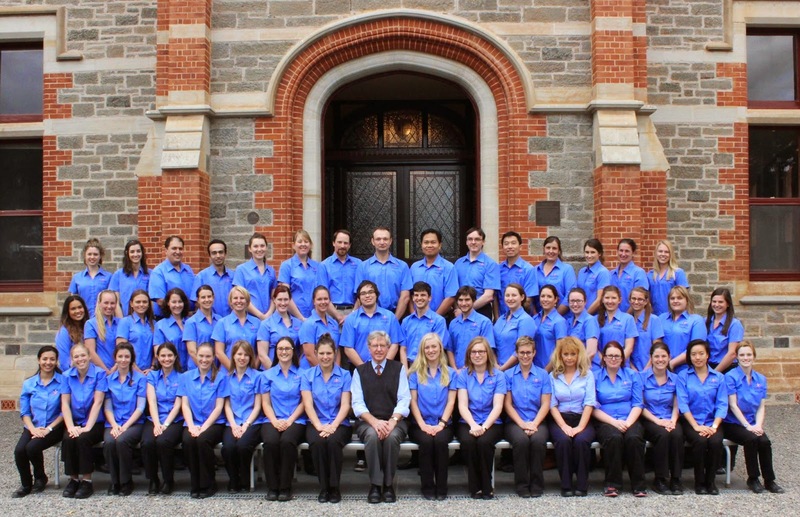 The University of Adelaide DVM Class of 2014. Can you find me? I am very happy for you. I know from day one you are a doctorate material. More "intellectual" power to you. Sorry, madalang na po ako nagba-blog. THANK YOU VERY MUCH po!